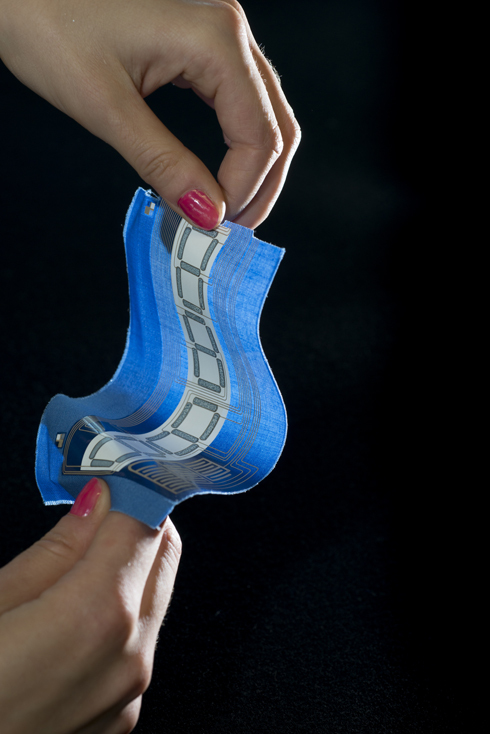 The Printed Electronics and Materials (Thick Film) facility realises novel electronic sensors, actuators, circuits and systems printed with a DEK248 screen printer and Dimatix DMP2831 inkjet printer on a variety of substrates using commercial and in-house inks and pastes. 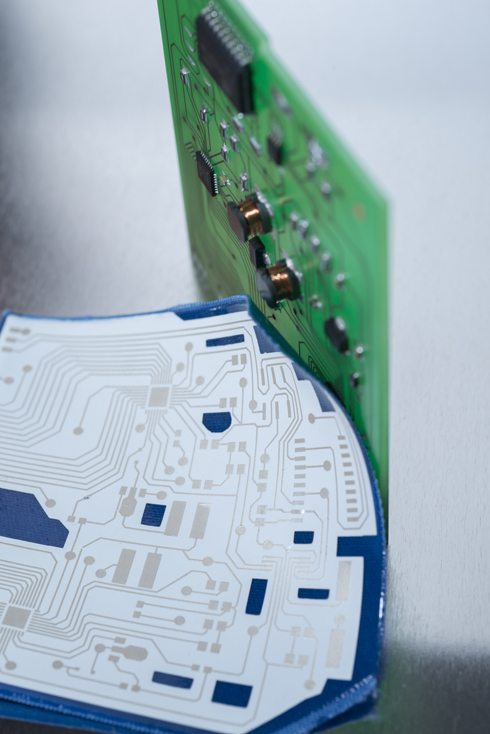 The printed devices developed within the facility include micropumps, heaters, multi-layer flexible printed circuit boards, accelerometers, gas and liquid sensors, electroluminescent displays, pressure sensors and energy harvesters. A Netzsch Microcer Bead Mill is used to develop our own printed electrically active materials and materials analysis tools such as the Malvern Mastersizer and Zetasizer are used to study the effects of particle size and distribution upon electrical performance. Capabilities at the macro-micro interface, enabling the production of larger scale devices in semiconductor, metallic and piezoelectric materials. Produced the world’s first all screen-printed electroluminescent watch display on fabric.